Eighteenth Dirk Pitt underwater sea-thriller (Trojan Odyssey, 2003, etc. 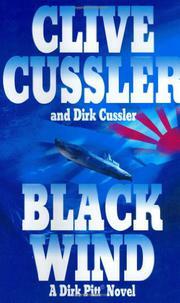 ), now co-authored with Cussler’s son Dirk. The year 2007 finds the aging Pitt still in charge of NUMA (National Underwater and Marine Agency), but the story begins with the usual strong historical sea-mystery, this time set in 1944. The Japanese navy knows that defeat lies ahead after the sinking of the bulk of its fleet at the Battle of Leyte Gulf. But top planners have come upon a horrific biological agent developed in China; they plan to bomb the US West Coast and devastate so much of the population that America will call for war’s end. The delivery system for this killer agent rests on Japan’s two largest submarines, which house two disassembled dive-bombers now converted into floatplanes that can be reassembled when the coast is reached and launched from catapults down the center of the bow. The first submarine is sunk, however, when rammed by a US destroyer off the coast of Washington. Enter the new head of NUMA, Dirk Pitt the elder, who is helped by his young son, Dirk Pitt, a marine engineer, and a marine biologist named Summer. Later the story leaps forward to the future-present. A father-son action thriller penned by a father-son team that more than maintains the supercharged Cusslerian danger. Don’t stir that silt!